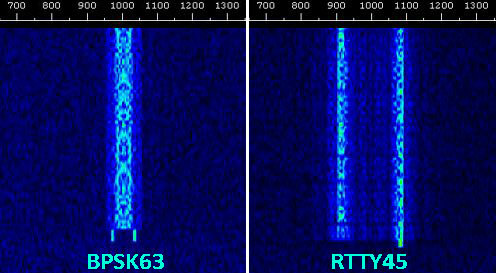 There is a link that I have already put on the web site so you can hear the signals but I thought it would be a good idea to show you a few – courtesy of THE Russian Data modes club. There are variants of above signals in speed and width ie’ BPSK63 is wider than a BPSK31 signal but not as wide as BPSK125 signal. I shall post some more signal types as I get them. BSARS take part in 2015 JOTA.